Cowboys and Cappuccinos is now also in Instagram. You can follow me @cappuccinocowboy. In Instagram I already have some pictures from my trip to Warsaw last weekend. 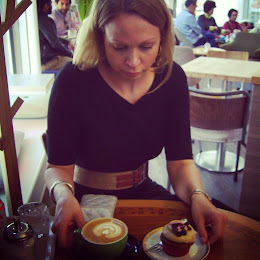 Warsaw has so many amazing coffee shops and restaurants - it is a perfect city for a weekend getaway. Even the weather was perfect +19 C on Saturday! I think I'm in love. If someone want to read more about that Lapland I think this is the right place for you!